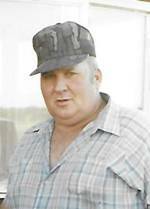 Donald E. Melby, 79, of Warroad, MN, formerly of rural Badger, MN, died on Sunday morning, July 8, 2018 in the Warroad Senior Living Center. Donald Enock Melby, the son of Enock & Tilda (Dokken) Melby, was born on October 3, 1938 in Greenbush, MN, the 4th of 6 brothers. He was baptized, confirmed, and a lifelong member of Oiland Free Lutheran Church. Donnie attended the Haug School, the Haug-Leo School, and the Greenbush High School before staying home to work on the farm and help out other farmers in the area. In 1961 Donnie was drafted into the U.S. Army and completed Basic Training in Fort Carson, Colorado. After Basic Training he was stationed at Fort Sill, Oklahoma in the Battery “A” 4th Training Battalion until his discharge in 1963. After he was discharged from the Army, Donnie returned back home to the family farm in rural Badger. Donnie was a lifelong farmer. He also helped drill wells, as needed, with Hector & Gerald Graff, and he worked a couple of years at Polaris Industries. He was a member of Moen-Zimek American Legion Post 88 at Greenbush. Donnie resided at the family farm until he moved to the Warroad Senior Living Center in the fall of 2014. It was easy for Donnie’s family to see that the staff and caregivers held a special place in Donnie’s heart and it was there at the Warroad Senior Living Center that he made many new friends and family. Donnie enjoyed farming, hunting, fishing, trap shooting, car races, mowing the lawn, and going on nightly drives with his brother Gary around the countryside and looking for deer. He loved visiting with friends and enjoyed listening to music. Donnie also enjoyed a good game of cards with family or friends, especially “Whist.” Donnie liked to grill and cook. For many years he cooked the Christmas meal for the family – making the Roast Beef and Lutefisk “just right.” Donnie had a great sense of humor, and he was a friend to everyone. Donnie is survived by 2 Brothers: Vernon of Karlstad, MN and Gary of Badger, MN. Sister-in-law – Becky Melby of Badger, MN. 2 Nieces – Patti (Paul) Robinson of Badger, MN & Laura (Dwayne) Mast of Roseau, MN. and many other relatives & friends. Donnie was preceded in death by his parents; Brothers Loyd Melby in 2016 and Harvey Melby in 2010, and an infant Brother in 1946. Funeral Services were held on Thursday, July 12, at 3:00 PM in Oiland Free Lutheran Church, rural Greenbush, with Pastor David Nelson, officiating. Musicians were Tammy Wahl, Lee & Kerri Melby, Bill Wagner, Rose Ann Strandlund & Ruth Graff; also Ellie, Ava, Olivia & Zander Mast. Pallbearers were Paul & Trever Robinson, Dwayne Mast, David Dokken, Gerald Graff, Leon Miksatko, Merlyn Alme, Stan & Loren Melby. Honorary Pallbearers were the Staff & Caretakers of the Warroad Senior Living Center, Patti Robinson, Anisa & Isaac Nelson, Laura, Eliana, Ava, Olivia & Zander Mast. Burial was in Oiland Cemetery with Military Honors provided by the Moen-Zimek Post 88 of the American Legion of Greenbush. Arrangements were with Gieseke Funeral Chapel of Greenbush.